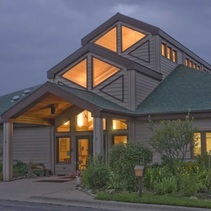 The Prairiewoods campus includes the Center, a 19-room Guest House, two Hermitages, a private Residence and an I-Renew training facility. In addition to these buildings, it features a Media Center, Meditation Room, Gift Shop, gardens, outdoor labyrinth, walking trails and traditional sweat lodge. The Center is the heart of Prairiewoods’ activities. In this building, you’ll find staff offices, meeting rooms, a Media Center, Massage and Meditation Rooms, a lounge, a Gift Shop, a fully-staffed kitchen, an Art Room and a dining area. Prairiewoods offers a wide selection of books, videos and audio materials through our Media Center, which is available to guests and the public. 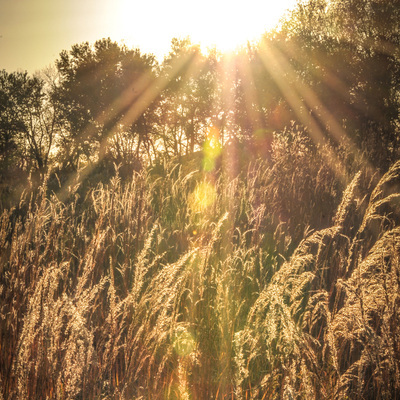 Included are materials on spiritual, theological and personal growth issues, as well as one of the most extensive sections on environmental studies available in the Midwest. It is a full lending library, so materials are able to be checked out for extended periods of time. 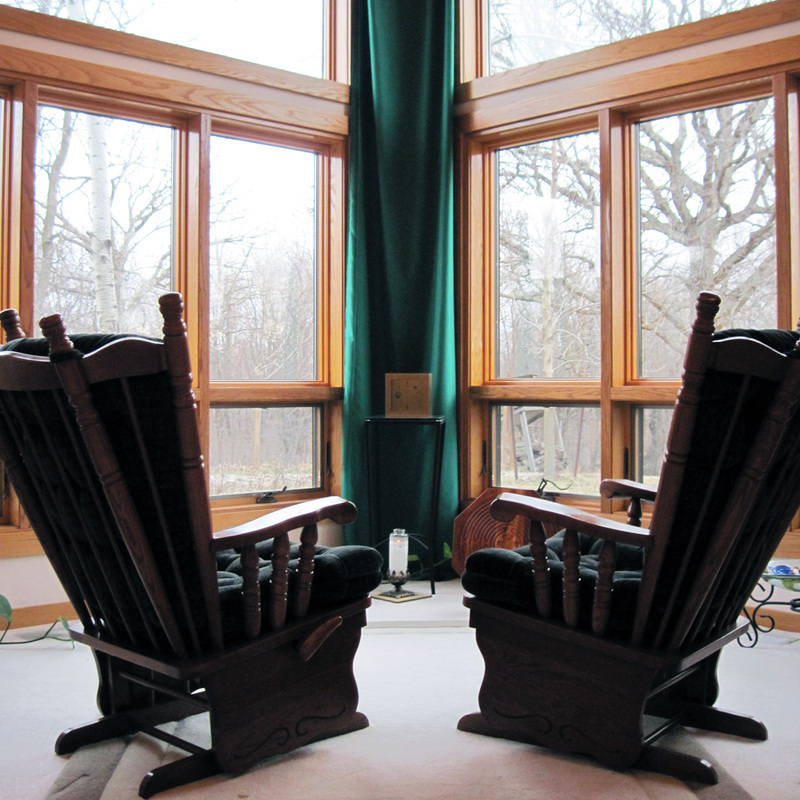 The architectural design of the Meditation Room, with its floor-to-ceiling windows, draws one into the life and beauty of the nearby woods. 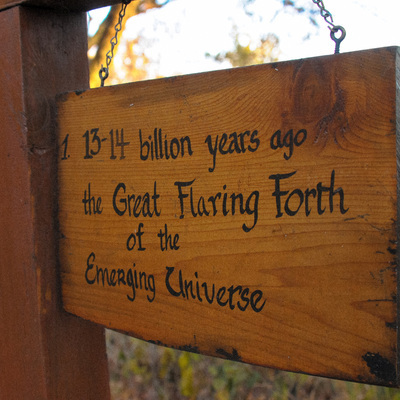 This room is meant to help connect guests with the magnificence of God’s creation in each season. Like the Media Center, it is free and open to the public. The Prairiewoods Gift Shop is where you’ll find more than 500 books on a variety of topics. The books are selected to support the spiritual and holistic development of our guests and visitors. 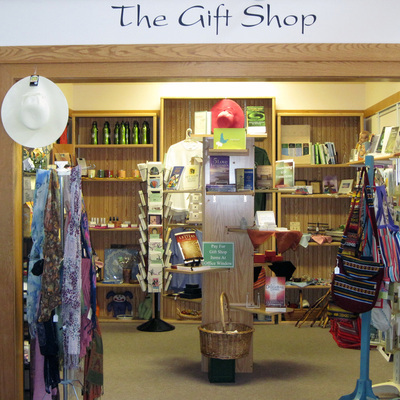 Also included in the shop are unique gifts, cards and jewelry by area artists, Fair Trade gift items, CDs, T-shirts and much more. The Prairiewoods Guest House provides clean, simple rooms for guests who wish to stay overnight. 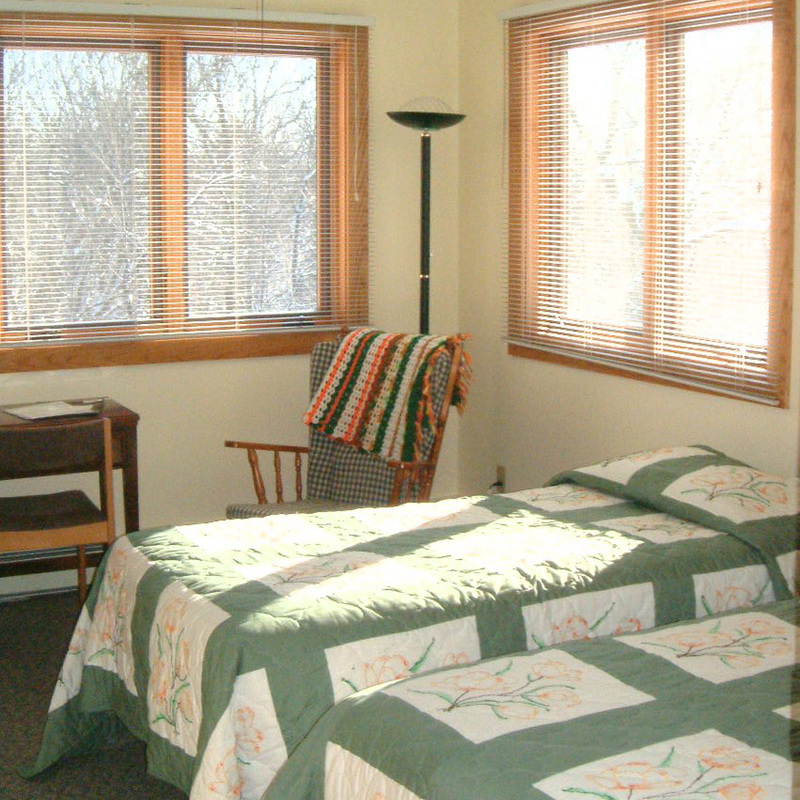 The first floor, which is handicap accessible, has three single rooms and four double rooms for guests, as well as a kitchen, prayer room and massage room. The second floor has twelve double rooms plus several common areas including a large lounge, a kitchen and an enclosed porch. While each of the guest rooms has its own sink, a bathroom with shower is shared between two double rooms. Healthy, fresh meals cooked on-site are available for an extra charge. Prairiewoods also has two hermitages, or small cottages in the woods, for people who want more quiet and solitude. Each of these simple one-room buildings is a self-contained living space for one person, equipped with a stove, refrigerator, bathroom and other amenities. These earth-friendly buildings offer ecological features such as straw-bale construction, radiant floor heating and a wetland septic system. The electricity, which comes totally from solar energy, provides only direct current (DC) for the lamps and other electronics provided. Guests cannot use non-DC appliances such as hair dryers, shavers or computers. The hermitages are available on a two-night minimum basis. Guests staying in the hermitage provide their own meals. Basics such as sugar, flour, coffee, tea and cooking oil are provided. Towels and bed linens also are provided. 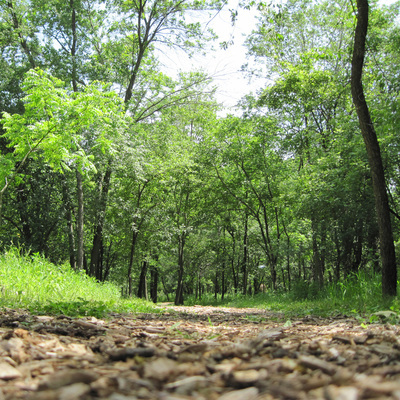 Prairiewoods has two-and-a-half miles of trails in the woods and prairie located on the property. 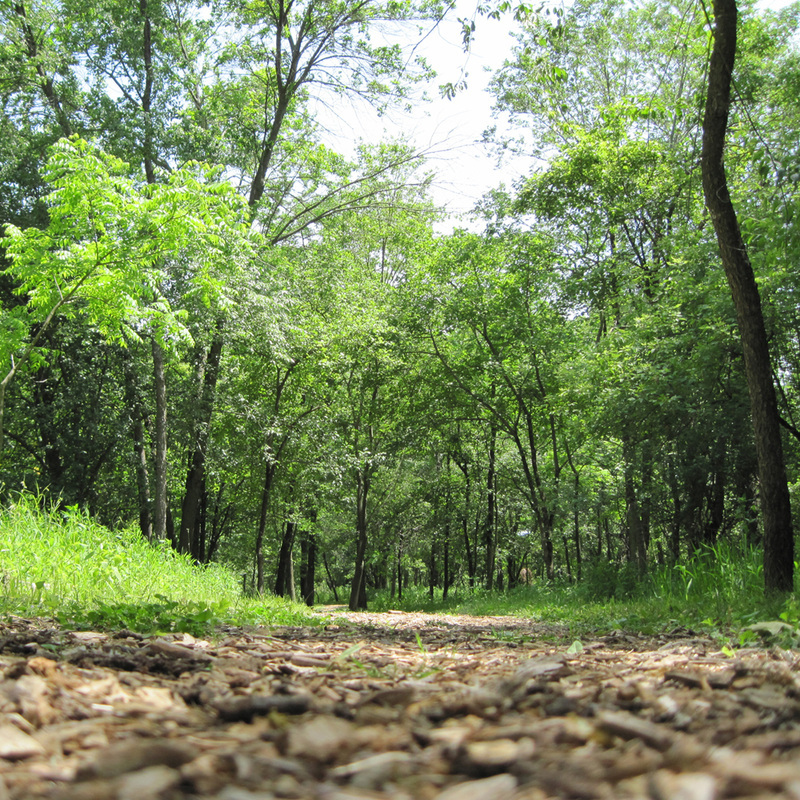 The Center is also about a half-mile from the trailhead of the Cedar Valley Nature Trail, a 50-mile trail system that extends through Cedar Rapids and Hiawatha and travels north to Waterloo. 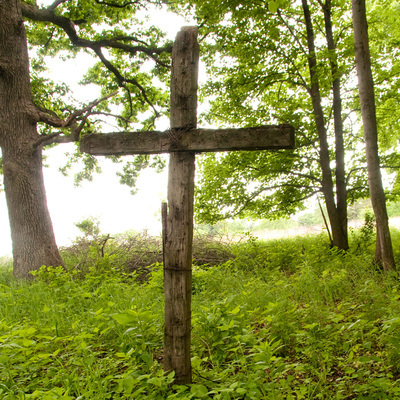 Prairiewoods’ 70 acres of woods and prairie offer a haven for those in search of quiet, solitude and a connection with the natural world. 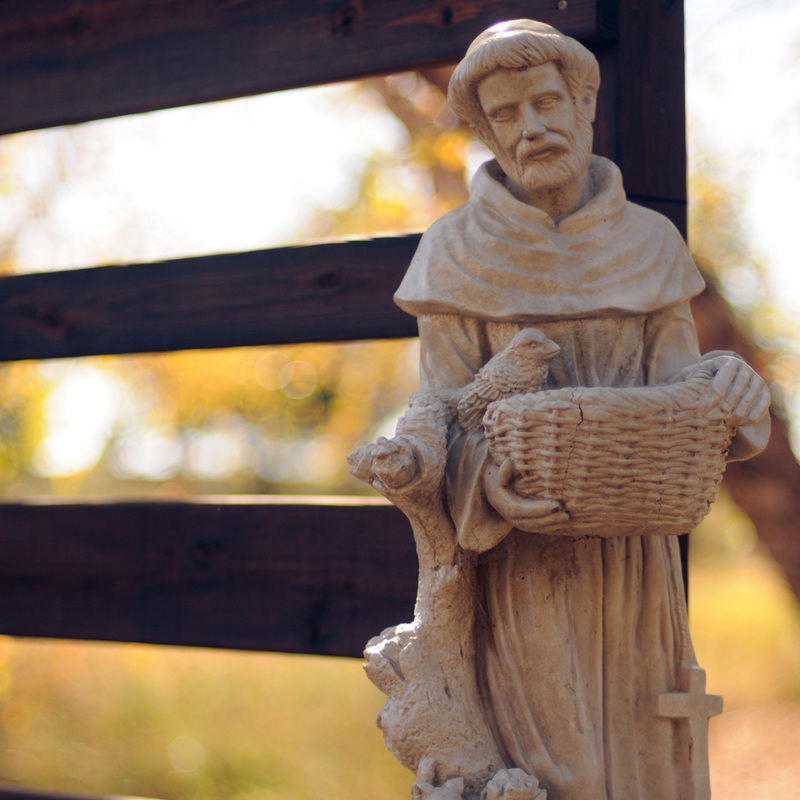 Many guests who come to Prairiewoods talk of receiving an instant sense of peace or of experiencing healing energy as they enter the grounds. The noise and activity of the city seem to fade in this contemplative environment. Guests have opportunities to enjoy the woods with its network of trails and meditation areas. Because the woods are home to many species of plant and animal life, walkers may be rewarded with sightings of deer, fox, wild turkeys and a variety of birds. Along one trail, markers create a Cosmic Walk that tells the story of the 14-billion-year journey of evolution. 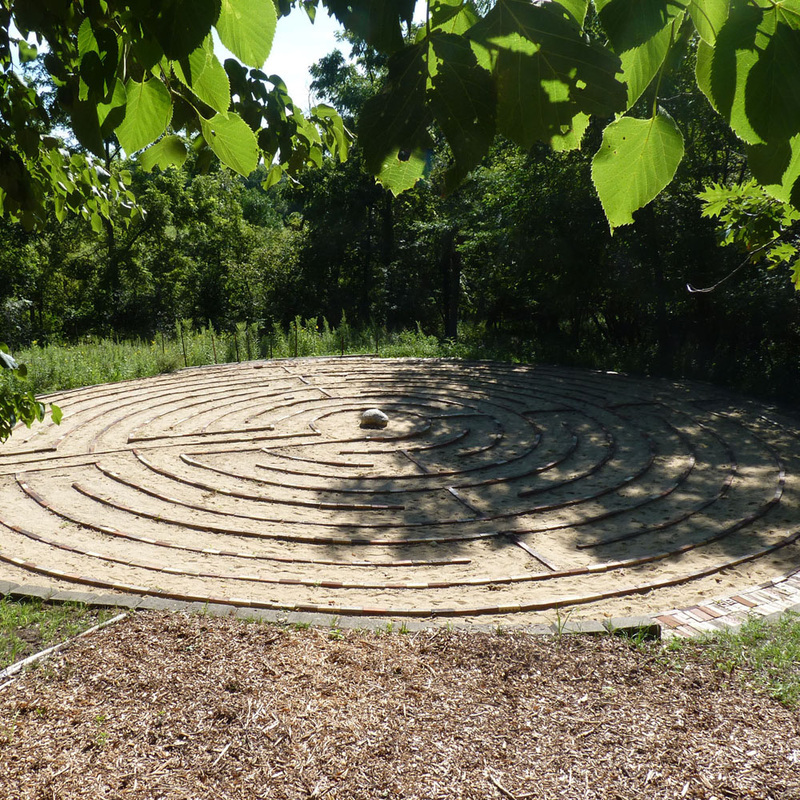 Prairiewoods has both an outdoor labyrinth and an indoor one that is available on special occasions. The symbol of the labyrinth can be found in ancient cultures and has become well known in recent years as a meditative tool. Though there are different designs for labyrinths, those at Prairiewoods are the same pattern as the one embedded in the floor of the Chartres Cathedral. Pilgrims once walked that labyrinth as their individual pilgrimage of seeking the sacred. Shop with Amazon Smile to benefit Sweetgrass! Sweetgrass Flute & Nature Festival is a 501(c)(3) non-profit organization (32-0485640) based in Cedar Rapids, Iowa. The Sweetgrass Flute & Nature Festival and the activities involved with it will draw people together to encounter peace and transformation through natural sounds and heightened awareness of nature while experiencing connectivity through the many cultural workshops and expansive music-making opportunities. ©Sweetgrass, 2019. All Rights Reserved.